From solemn remembrances to fundraisers, lawn parties and movies under the stars, the Abbey is the setting of meaningful, educational and entertaining programs. It’s a yard sale not to be missed! Items from folks all over the city. From housewares to electronics to tools will be there. All proceeds go to the restoration of Green Lawn Abbey. For more information, click here. After a long winter, it’ time to polish up the Abbey for a season of visitors and great events. Come join a great group of volunteers – and well provide the lunch. For more information, click here. Be part of a heartwarming and life affirming gathering on the day that we as a nation gather to remember those who died in active military service treasure those with us still. For more information, click here. Bring your folding chair and blanket and join vintage movie devotees on the lawn and under the stars on a warm summer night. For more information, click here. Honoring Howard Thurston and his legacy as a world-renowned magician who is celebrated still today, witness magical feats performed on stage and warm to the magical glow of the Abbey by candlelight. 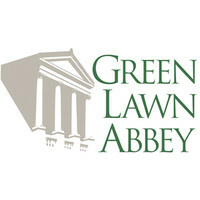 Green Lawn Abbey is the final resting place of an amazing array of fascinating people. Tour the Abbey during Tales from the Crypt, held in October, and meet these amazing people who helped shape Columbus. Rent the Abbey for a private event or memorials/service. For additional information or questions, please call 614-60ABBEY (614-602-2239) or email at friends@greenlawnabbey.org.